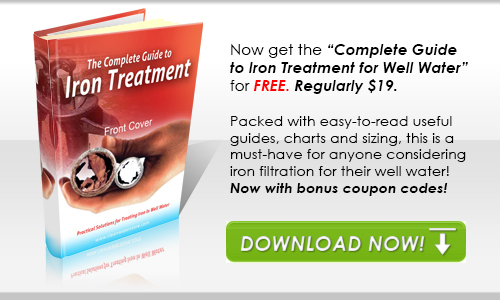 Can I get an iron filter that will remove iron and manganese without using chemicals or salt? 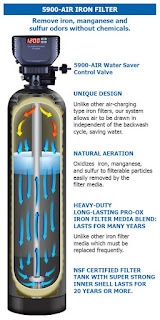 I put in an iron filter last year from a different company to remove iron and manganese from my home well water.. They had promised me I would not use any chemicals, but it only worked for a few months, and then the water was bad again. The iron filter they sold me came with greensand and calcite and some other media I am not sure what it was. When I called them back, they said it was because I needed a chlorinator and then they tried to sell me a chlorinator. I don’t have any sulfur smell, just iron (about 2.0 – 3.0 PPM) and manganese (about 0.15 PPM or so, not sure exactly, it's there but not a huge amount). I also emailed you our water test report. Any suggestions? It's just me and my wife and dogs, 2 bathroom home. We have about 12 gallons a minute from our well pump. Thanks for emailing. 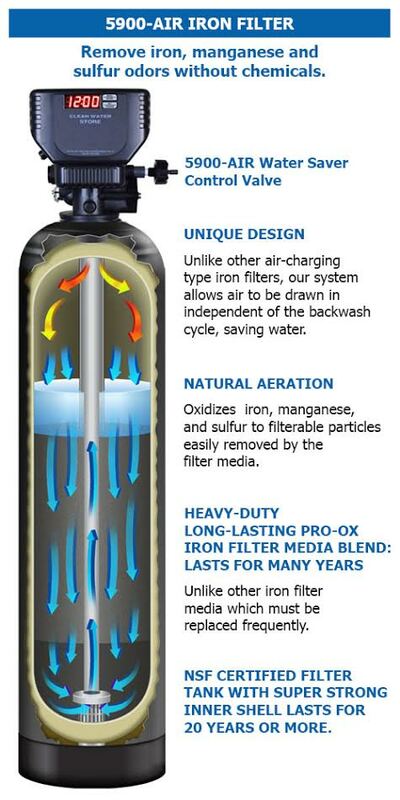 The Pro-OX Air iron filter is a good option for your water. 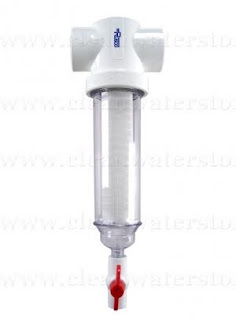 This uses air injection directly in the filter to oxidize the contaminants out and then passes the water through a mixed bed of filtration media specifically designed to remove them from the water. This is an automatic backwashing system that rinses out the media about once per week in order to keep the media clean as well as maintain a head of air for the oxidation purposes. Unlike other Air Charger systems this valve doesn’t need to do a full backwash every night, rather this simply does an automatic suction to replenish the air-pocket. Essentially how the Iron & Manganese is removed is Oxidation followed by Filtration. The chemical-free operation using aeration allows for highly oxidative water resulting in effective Iron & Manganese Removal. Pro-OX has a much higher surface area, is much more porous, and also lasts much longer (usually between 10 - 12 years), compared to around 5 years maximum for Greensand. These filters are fully automatic and use the reliable 5900e control valve for dependable filtration with minimal maintenance requirements along with being quite a user-friendly in operation. We also recommend an optional Spindown pre-filter which would be installed upstream of the backwashing filter so as to protect against sand/sediment from entering the control valve and cause unwanted problems. You can also use this pre-filter to shock the filter/house with Bleach or Peroxide from time to time as will help with odor buildup as well as improving the filters cleanliness and longevity. No need for constant chlorination though. The Spindown filter uses a mesh screen thus no filter cartridges that need constant servicing. Simply flush the valve for 10 – 20 seconds about once a month or as needed and done. Unique Digital Control Valve allows the air pocket to be replenished each night, without having the iron filter go through a complete backwash. Other Air-Charger Iron Filters must go through a complete backwash each night, in order to replenish the air, wasting thousands of gallons of water each year. No potassium permanganate, or chemicals required, although, unlike other iron filters. 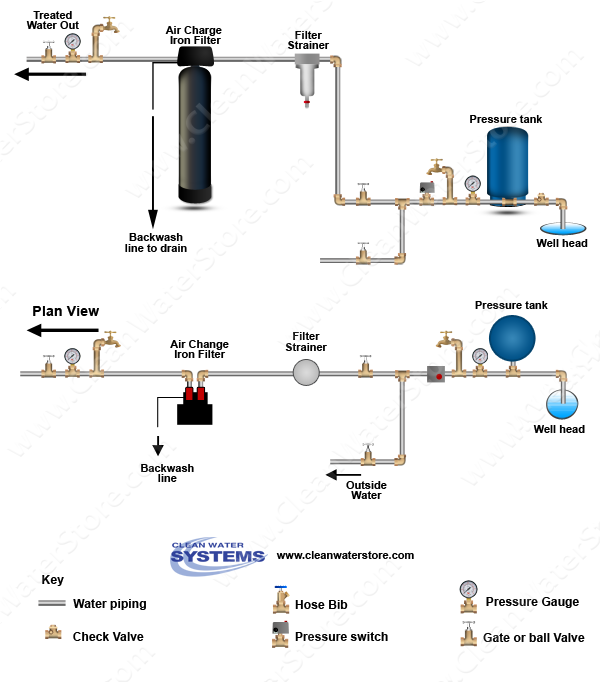 This system also works with chlorinated water but is not required.